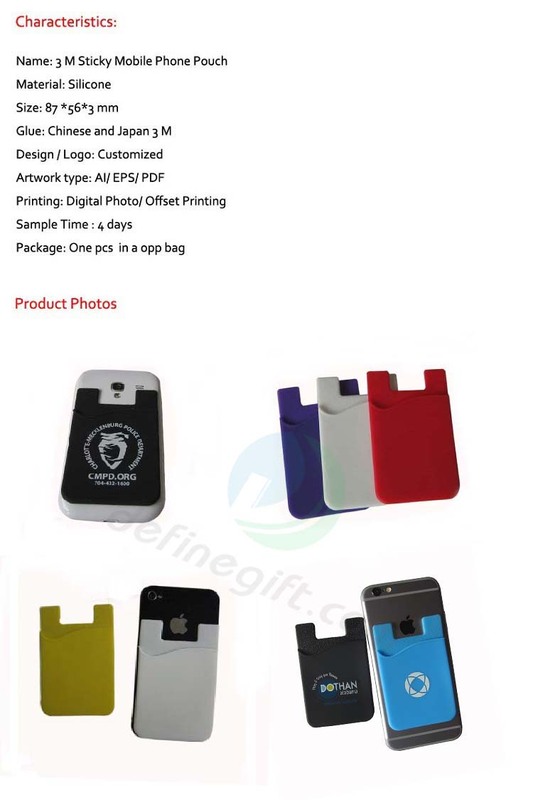 1) Simply pick up your smart phone and stick this card holder on. This Silicone smart wallet is great for holding cards,tickets,ID,cash,earphones and more. 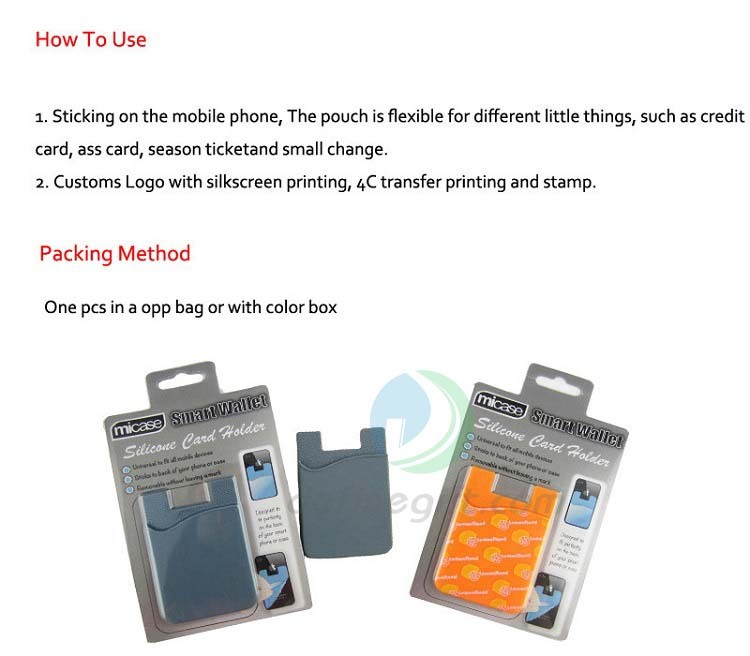 2) The silicone smart wallet is made from durable silicone,can be resistent force of 4kgs. 3) It attaches to the back of your phone and removes easily without leaving a mark. 4) Free up pocket/handbag space for storing other things,also save your time to fumble around in your pocket or handbag. 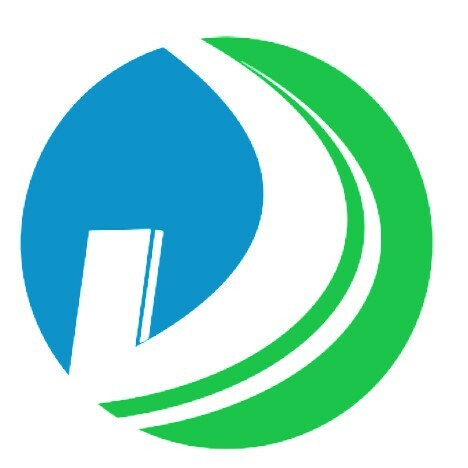 1-Our company was established in 2010 and located in Shenzhen of China. 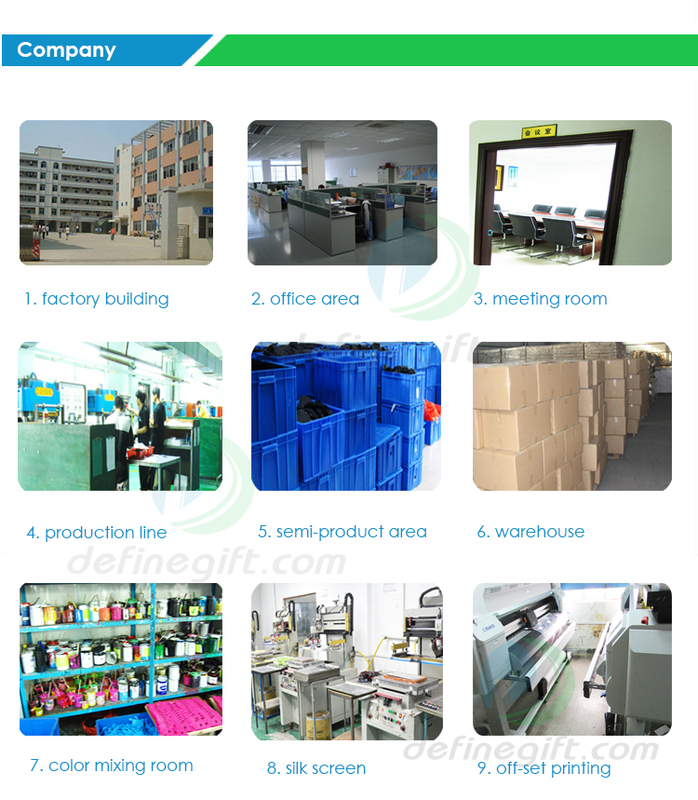 We are the professional manufacturer and trading company. 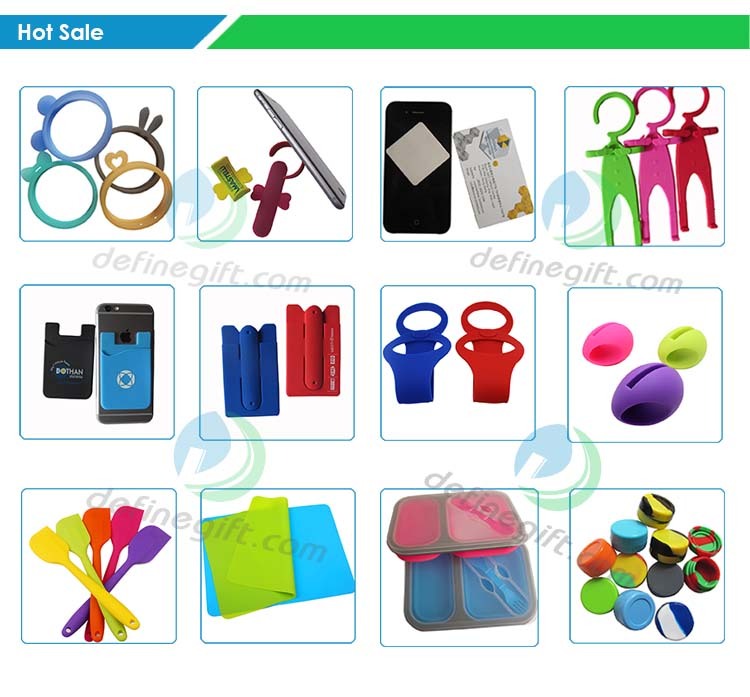 2-We are specialized in research and development of manufacturing eco-friendly silicone material promotional gifts. 3-With rapid and steady growth, we are possessing employees more than 100. 4-Plant area is of 3000 square meters. 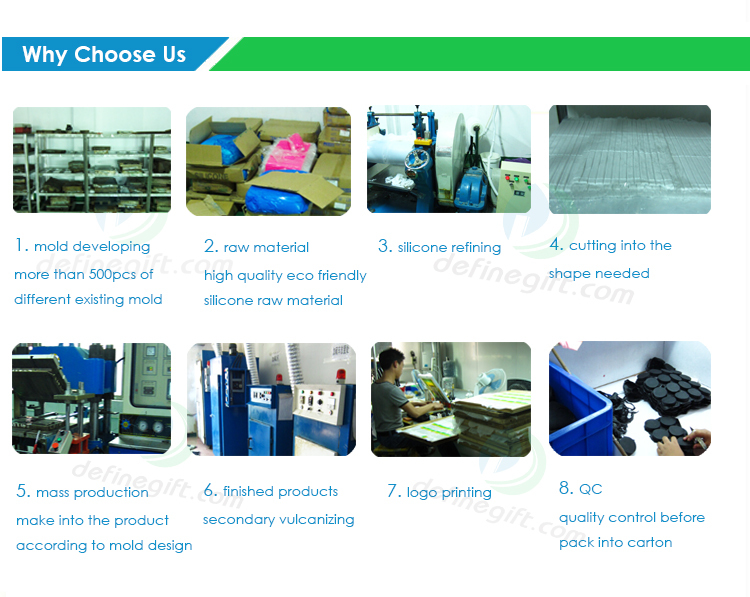 5-We design products template according to customer requirements. 6-We look forward to establishing closed alliance with customers all over the world. 1. Kindly note please: Items will be packaged to save your shipping charge & to be environmentally friendly. 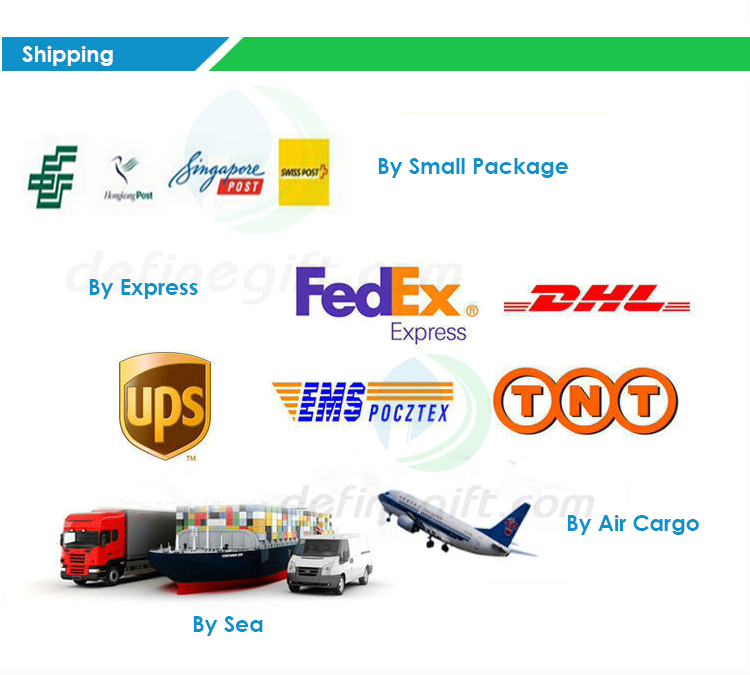 We guaranty the item will be protected well in bubble bags and ship safe. 3. 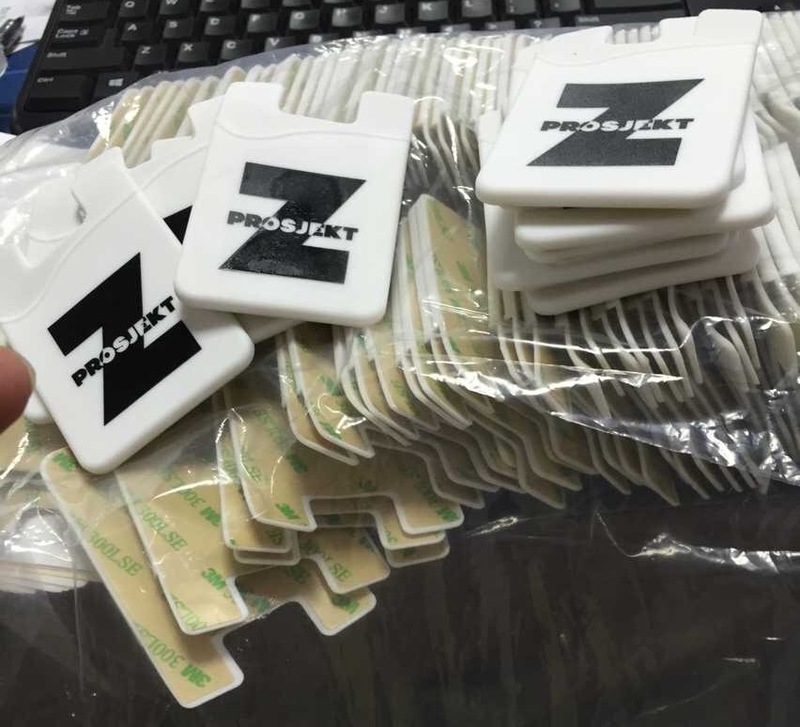 Sample will be shipped by EMS, DHL, UPS, FedEx and China post airmail. 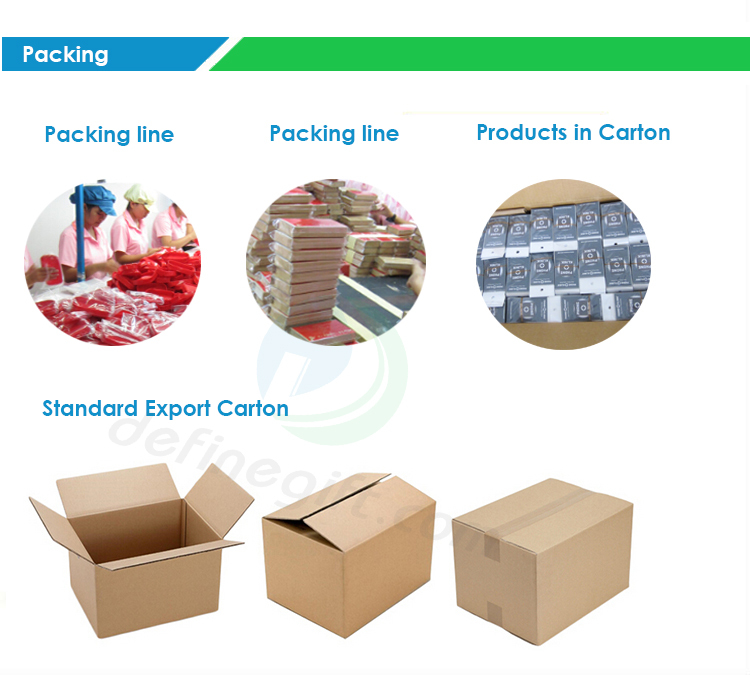 As for the bulk order will be depend on customer's requirements. 4. Any extra custom duties or import taxes are not included. Q: What’s your MOQ for silicone rubber product? A: Usually small existing mold products MOQ=100pcs. Q: What is your policy for opening new mold? Q: Products can be customized according to customer requirement? A: Yes, as long as your data of item dimension or reference chart is provided. Q: What are the general certificates for Silicone product? Q: Could the food-grade silicone products meet EU standards? If we want to do the test, what’s the cost and time? A: 1, all our silicone products are food-grade. product test cost is about US$350 to US$750. Testing time is about 7 days. Q: What’s your production time? A: Usually production time is 7 to 15 days for quantity below 10,000pcs. Q: What’s your printing method? A: T/T in advance, or 50% T/T in advance, balance paid before shipment.